In the 12 months that Robert Mueller has been conducting his witch hunt hoax, 20 witches and three witches’ businesses have either been indicted or admitted guilt and a total of 75 charges (none concerning witchcraft) have been laid. 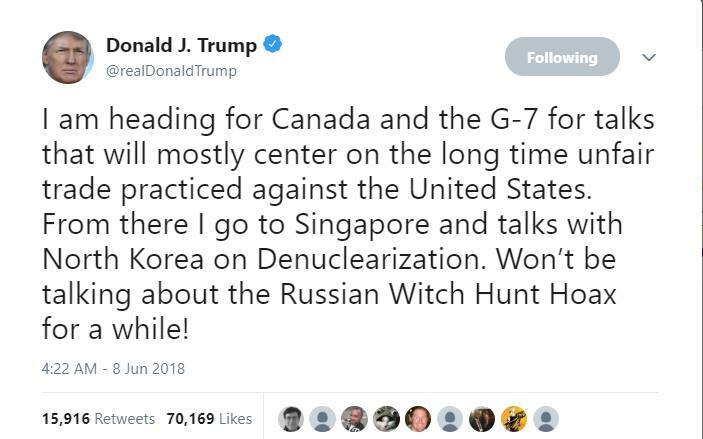 Five witches are now cooperating with the witch hunt. The Witch-in-Chief has begun insisting that he has the constitutional right to pardon himself from charges that might result from the Russian Witch Hunt Hoax. Commenting on this Blog entry will be automatically closed on August 9, 2018.